Oleg Deripaska’s electricity company, Eurosibenergo, is facing the loss of between 7% and 33% of its potential value in the Hong Kong market, as the banks running the attempt at a listing on the Hong Kong Stock Exchange can find few sharebuyers who value the company above the range of $4 billion to $5.6 billion. The banks are Bank of China International, Russia’s state-controlled VTB, and Deutsche Bank. Over recent months, as the plan to list Eurosibenergo has stimulated publicity, Deripaska insisted that the company should float with a market capitalization of $8 billion. At the start of this month, this was reduced to $6 billion. Now Eurosibenergo’s executives and advisors have been meeting with the Hong Kong institutions for several days before the new $4 billion number emerged from their talks. 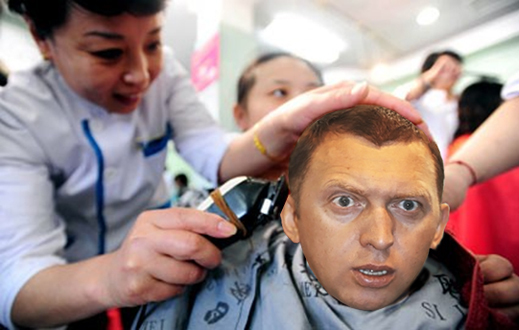 If Eurosibenergo must be floated to cover $1.4 billion in debts the utility acknowledges, then Deripaska is facing a haircut of 50% since the intention to float the company before year’s end was confirmed. If that happens, and Eurosibenergo is valued at no more than $4 billion, Deripaska will either have to sell more shares — 35% of the company’s capital, instead of the planned 25%. Or else he will have to disappoint his creditors. The potential for failure is also likely to test Deripaska’s relationship with Prime Minister Vladimir Putin and Deputy Prime Minister Igor Sechin. A year ago, they came to the rescue of the struggling attempt to list Rusal on the Hong Kong Stock Exchange by agreeing to “anchor” a 10% share sale with state bank money. Rob Edwards, Renaissance capital’s metals analyst, reveals in a report on Rusal, issued Monday, that since then the buyers of Rusal shares are “almost exclusively hedge funds” wagering on the movement of the aluminium metal price on the London Metals Exchange (LME). According to Edwards, the hedge funds “bought the IPO in the belief that the aluminium price would continue to rally into 1Q10 and consequently that RUSAL would be a leveraged trade on that rally, rapidly revaluing its equity relative to enterprise value.” He omitted to report that the hedge fund bets can also combine going long (upward trajectory) on the metal, and going short (downward trajectory) on Rusal. This time round for Eurosibenergo, a lifebuoy is more urgently needed than an anchor. In Moscow, the investment bankers and share brokers are more negative. Alfa Bank power analyst Alexander Kornilov reported to clients today that Eurosibenergo may be worth no more than $3.7 billion. At that level in the Hong Kong marketplace, Deripaska could raise only $925 million – half a billion less than his company owes. For the moment, the Hong Kong Stock Exchange records show no stock ticker has been assigned yet to Eurosibenergo. That is the official signal that the exchange’s Listing Committee has formally approved the share sale and the prospectus which goes with it. No prospectus has been published yet.